At this time of the year, it seems to be the thing to make “Top ____ of 2013” lists. I don’t know if these lists are really all that useful, arbitrary as they are, but compiling them gives me a good excuse to reflect on the past year. Posts about spirits and cocktails are some of my most popular, and with good reason. The world of spirits has never been more exciting in this country, with fine craft distilleries popping up all over the place. Cocktails too have experienced a major renaissance, as bartenders resurrect beautiful classic drinks and mix new concoctions with a creative energy not seen in half a century. Here are my favorites from 2013, in alphabetical order. And if this list doesn’t convince you that the world of spirits and cocktails has never been better, check out my list from 2012 here. This speakeasy in downtown San Diego was my favorite bar of the trip. It’s a little complicated to get in — you need to make a reservation in advance (ideally, a week in advance), and you can only make that reservation by sending a text message to 619-888-4713. 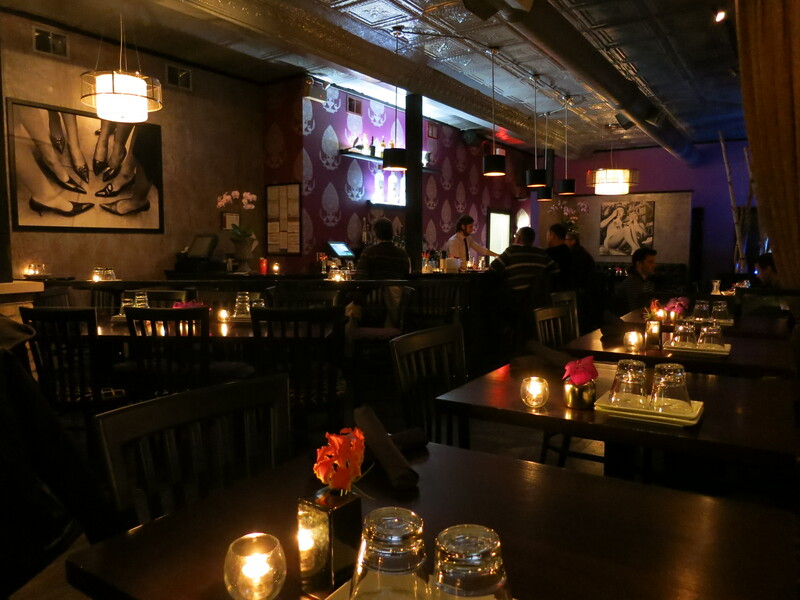 Once your reservation is confirmed, go to a restaurant called The Neighborhood at 777 G Street. Go to the back by the bathrooms, and you’ll see some beer kegs stacked up against the wall. Push on those, and you’re in! Bartender Anthony hand-cracked the ice for my Amber Dream, a classic cocktail that I must admit I’d never tried before. It contained Beefeater 24 (in which Beefeater steeps the botanicals for 24 hours, amping up the flavor), Carpano Antica (the sweet vermouth craft bars are going crazy for these days), Yellow Chartreuse (a French herbal liqueur), orange bitters and a strip of lemon zest. This cocktail took a few minutes to make, and it was worth the wait. It started on a sweet note, but the flavor became more and more bitter. I love the smooth, round texture (achieved with lots of stirring) and the citrusy aroma from the zest. Delicious, complex, and positively delightful. At this bar and restaurant in Chicago’s Lakeview neighborhood, they’ve devised a simple and elegant solution for keeping that last half of your martini ice-cold: storing it on ice in a little glass pitcher until you’re ready to drink it. Each cocktail comes with this sidecar, whether you order off the menu or not. I started with a Blood & Sand, a concoction which dates at least as far back as Bill Boothby’s 1934 cocktail guide, World Drinks and How to Mix ‘Em, which calls for scotch, Cherry Heering and fresh-squeezed orange juice. Taverna 750 gooses up that simple recipe by mixing together Glenmorangie Single-Malt Scotch, sweet vermouth, Cherry Heering, housemade orangecello, lemon juice and simple syrup. My dining companion had a taste of it, rolled his eyes with pleasure and ordered one of his own. 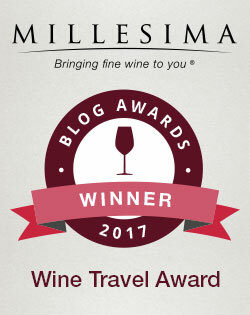 It had a creamy bitter-orange aroma, a profile carried through on the palate: rich, sweet and bitter, undergirded by orangey acids. The sidecar kept the second half of my drink ice-cold, with no loss of integrity as I finished the first. 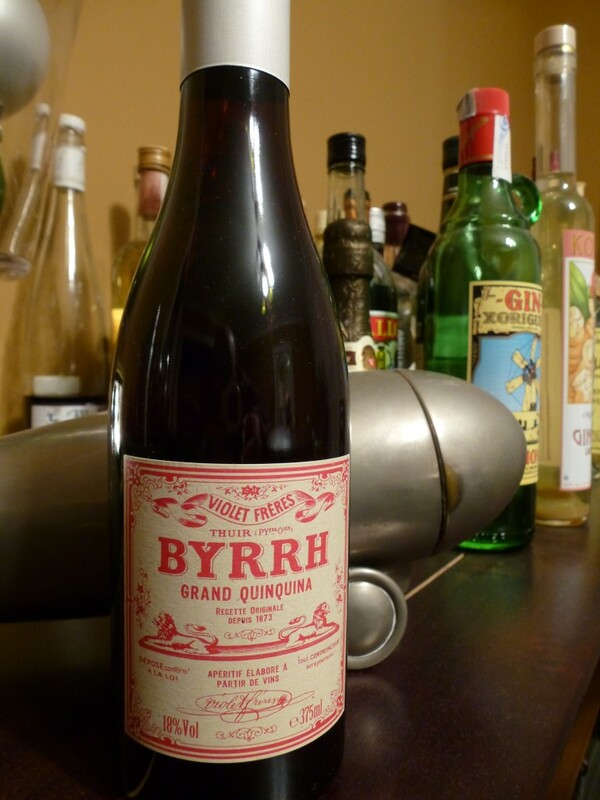 At first glance Byrrh appears to resemble many other sweet vermouths, or even port, it differs in one important respect: It’s spiked with quinine, the anti-malarial compound found in cinchona bark that gives traditional tonic its unique flavor. This cognac doesn’t look especially unusual at first glance, nor is it even especially old. But two words on the label make it immediately clear that this is not your everyday cognac: Folle Blanche. Cognac, like all brandies, is distilled from grapes. In cognac’s earliest incarnation, these grapes tended to be Folle Blanche as much as anything. More recently, particularly after phylloxera ravaged the Cognac’s vineyards in the late 19th century, Folle Blanche was replaced with Ugni Blanc (Trebbiano). Finding a cognac distilled from Folle Blanche these days is rare indeed. 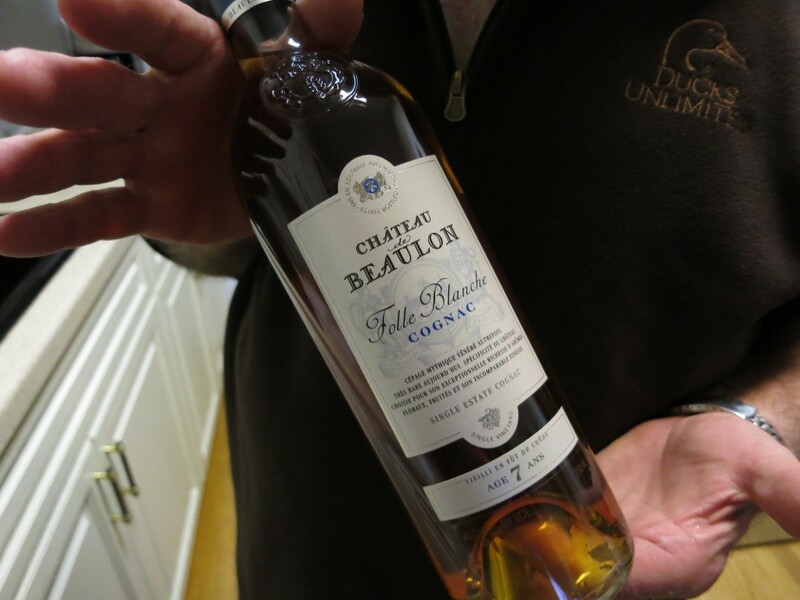 The light caramel-colored Château Beaulon had a bright aroma with strong vanilla cake notes and a hint of ripe banana. When I took a sip, I felt a top plane with dark vanilla and wood flavors overlaying a lower plane bright with green peppercorn spice. 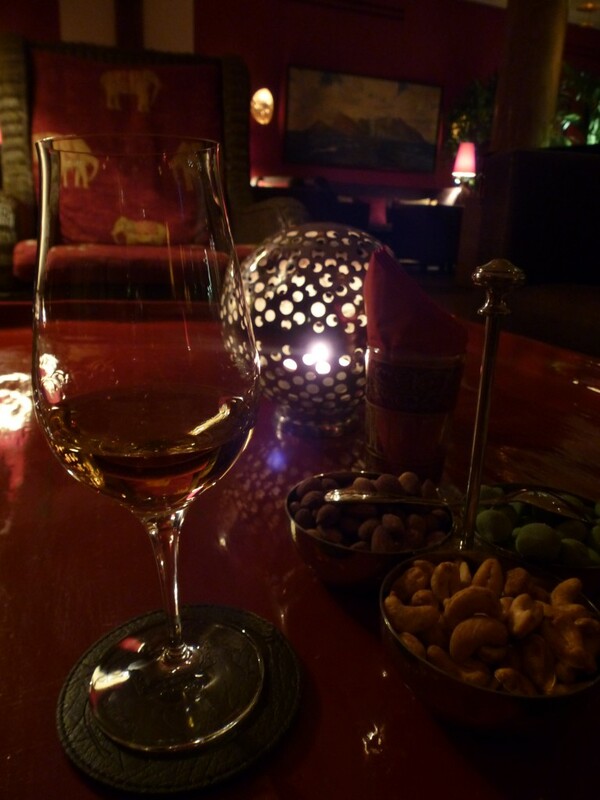 It seemed a little lighter and fruitier than many cognacs I’ve tried, and very well-balanced, cheerful and smooth. 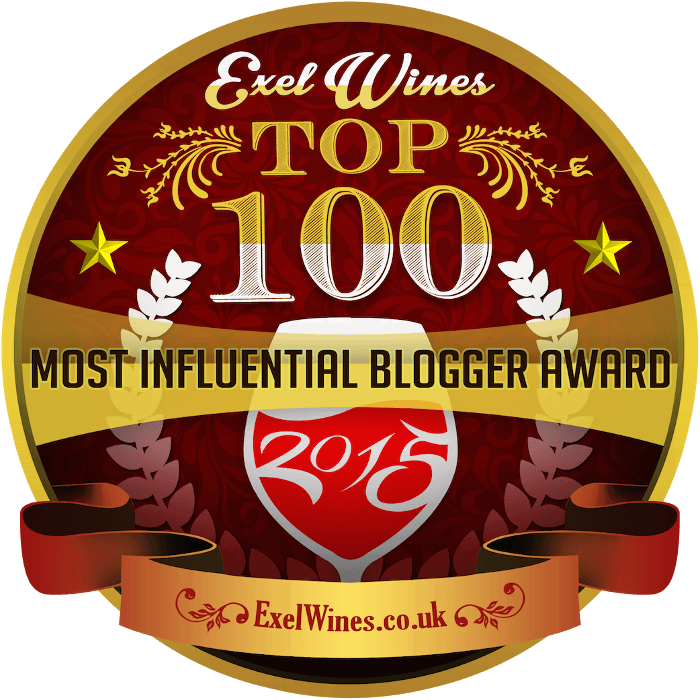 I would never have guessed this artichoke-based liqueur from Italy would make the list. About 10 years ago, a friend and I were in some small-town café in Umbria, and I spotted the bottle behind the bar. Even then I was interested in trying unusual spirits, and the idea of an artichoke liqueur proved irresistible. With no clue what this thing could possibly taste like, I ordered a glass. It was not to my liking. Aghast at Cynar’s bitterness, I discreetly carried the small snifter to the men’s room and poured the remainder down the drain. What a difference a decade makes. There was no sneaking off to the bathroom this time. Tasted neat and well-chilled in the refrigerator, the Cynar had a pleasantly bittersweet aroma and a very bitter, intense flavor profile leavened with a strong dose of caramelly sweetness. It doesn’t taste at all like artichokes — it’s made with 12 other herbs and plants, according to its website — and I certainly didn’t want to pour it down the drain this time. 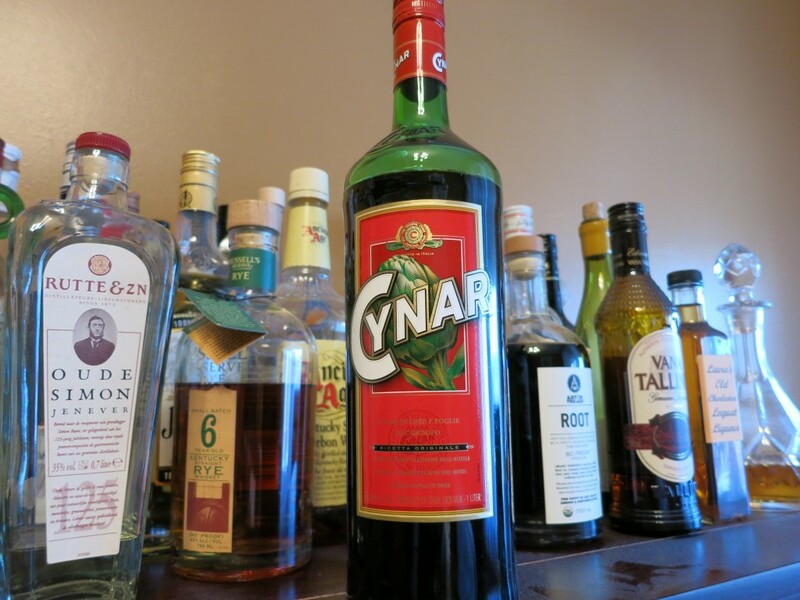 Despite Cynar’s relatively low 16.5% alcohol content, it tasted powerful, bracing and surprisingly balanced. Check out some Cynar-based cocktails I mixed up here. 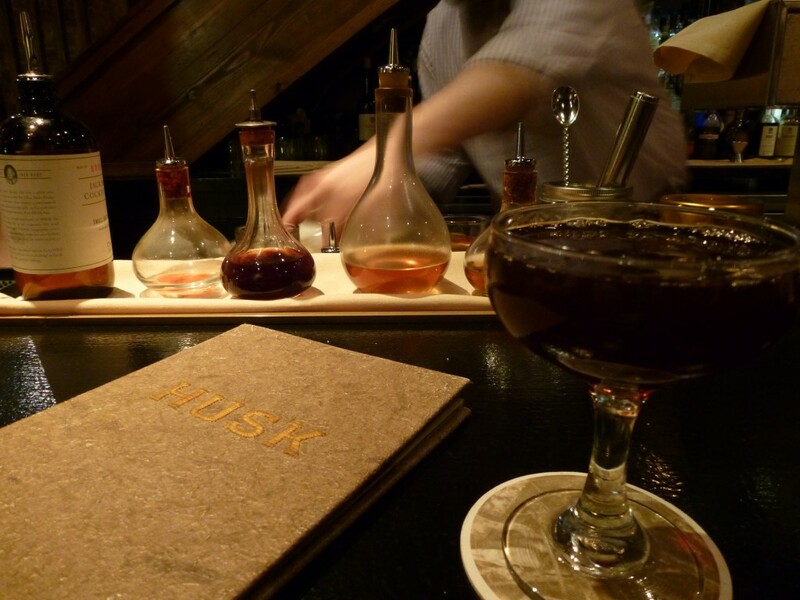 Husk restaurant in Charleston, South Carolina, is no secret, but it’s easy to pass by the bar right next door. I went in on a whim, and discovered one of my very favorite bars of the year. I ordered a barrel-aged Manhattan from bartender Roderick Hale Weaver, who apologetically explained that this was the first time they had run out of the cocktail. He offered to make me an alternative Manhattan-like drink “with depth,” and presented me with a gorgeous Dark Passenger. Made with Carpano Antica, Buffalo Trace Bourbon, sorghum molasses and a rinse of Branca Menta, this cocktail tasted supremely satisfying: rich, bitter and complex, with a note of mint on the finish. It was absolutely delicious. If you go, have Weaver or one of his colleagues customize a cocktail for you, and whatever you do, don’t miss the glorious cheeseburger. 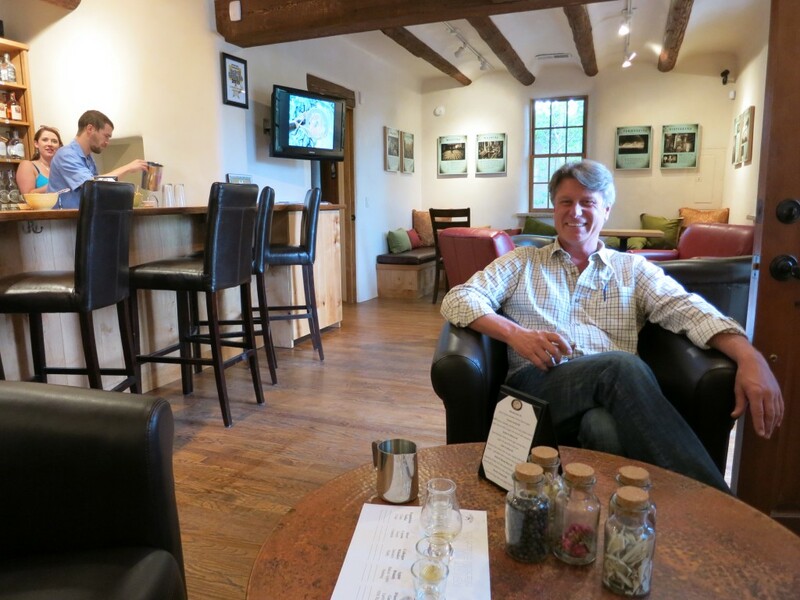 This distillery in the capital of New Mexico makes a number of delightful spirits, two of which I found especially memorable. Colkegan Single Malt Whiskey: With this whiskey, Santa Fe Spirits emulates the production process used by makers of scotch, employing smoked barley and used bourbon barrels for aging. But this whiskey has an undeniably local character imparted by the use of mesquite to smoke the malt, rather than peat. I could sense it in the aroma, which had notes of smoke and vanilla, as well as a bit of something red, like good Hungarian paprika. Its flavor definitely reminded me of a smooth and dusky scotch, but again, there was a unique red note underneath, no doubt due to that smart decision to use mesquite. VSOA stands for “Very Special Old Arrack,” a wonderful spirit from Sri Lanka which is distilled from the nectar of unopened coconut flowers. 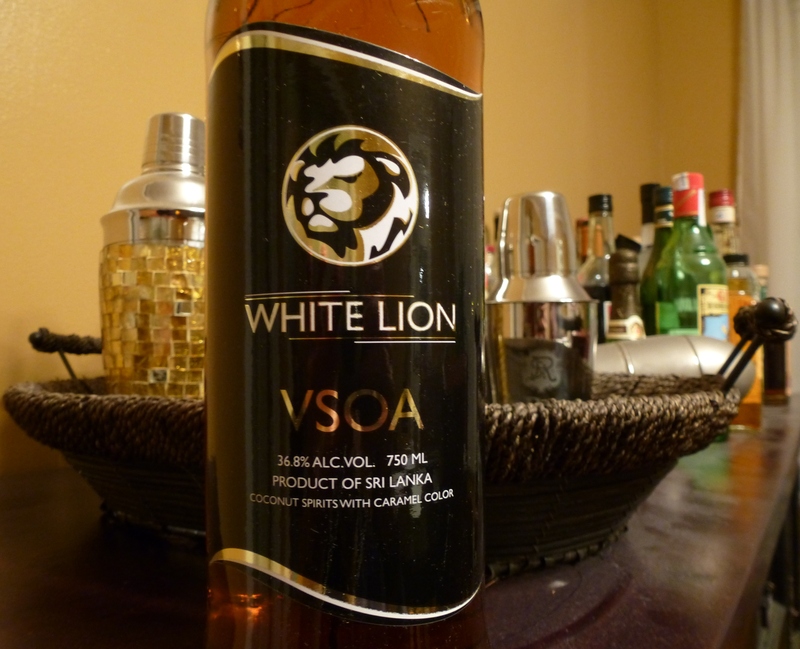 At room temperature, the VSOA had appealingly fragrant aromas of bright vanilla cake and caramel. If I hadn’t known what I was smelling, I might have guessed it was some kind of sweet cognac. It starts sweet and smooth on the palate, before blossoming into white-peppercorn spice and an aromatic finish of something savory and herbaceous. Fascinating and delicious. This spirit proved to be quite a versatile base for cocktails — check out some recipes here. I enjoy your web site and your prose. Wish you and yours a joyous Christmas and a terrific 2014 from Austin, Texas. I enjoy your photographs and prose. Happy Christmas and a terrific 2014 from Austin, Texas. Thank you very kindly, and Happy Christmas to you as well!